I met up with Jhazmyn and Ali very early morning on the steps of the Trocadero. 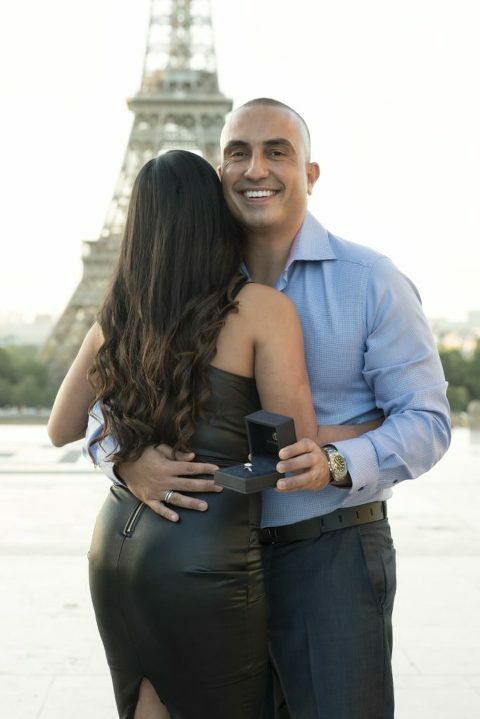 Ali had contacted WeddingLight Events to plan his secret proposal in Paris to his long time partner. Their engagement proposal was to be followed by some romantic photos in the city. 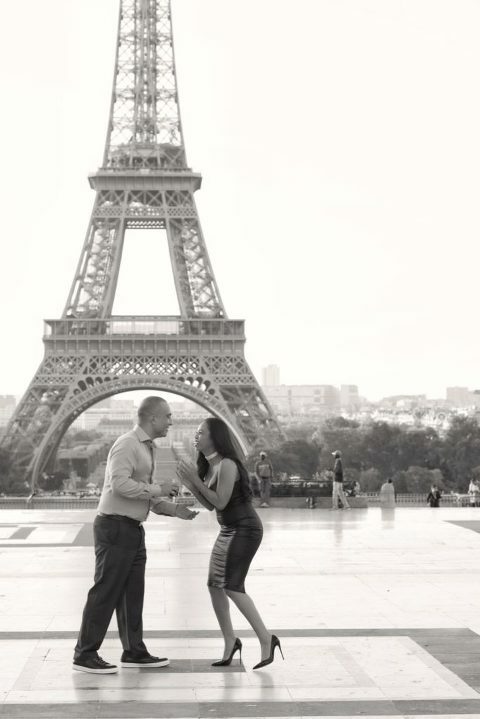 The idea was to propose at the Trocadero, overlooking the Eiffel tower as early as 7am. At this time of the day the light is beautiful and the city is still very peaceful. 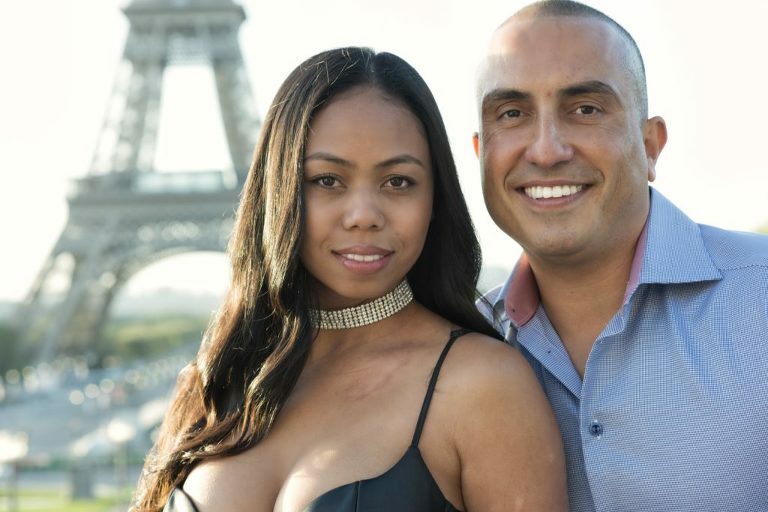 We then rushed into a car and headed towards the seine, pont Alexandre III, place de la Concorde as well as the tuilerie garden for some romantic portraits. After a couple of hours of creative photography in the streets of Paris, we headed back to the hotel so that Jhazmin and Ali could refresh. Ali had organized another surprise for his partner. A beautiful gourmet picnic basket with some cushions, rose petals, candles was waiting for them back at the gardens of the Trocadero. This delicious and beautifully presented surprise had been prepared and set up by ” Love Picnic Paris. ” It is a great way to enjoy a very special moment with your partner overlooking the Eiffel tower; a true classic and traditional wicker picnic basket with amazing local products. A bottle of champagne was waiting at their arrival along with some foie gras, smoked salmon, roasted chicken, macarons and gourmet chocolate for desert. I couldn’t resist the temptation to drop by and snap a few last souvenir photographs as they sat down on the grass for a very well deserved French style romantic picnic affair. © 2019 Destination wedding photographer videographer Paris Normandy France|ProPhoto6 WordPress Theme|Design by Northfolk & Co.